These shoe clips were a great detail to this bride’s wedding. To show them off, I positioned her framed between the neutral bridesmaids' shoes sporting the clips and the wedding bouquets. 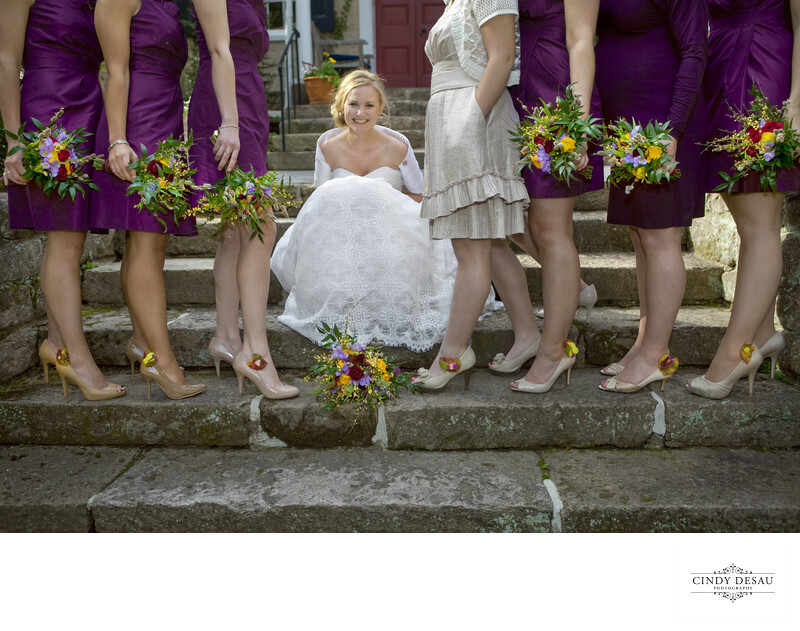 She stands out since she is the only one featured and fully shown with these bridal details.